As a person who plays games of multiple systems, I fully appreciate owning products that are good for more than one game. 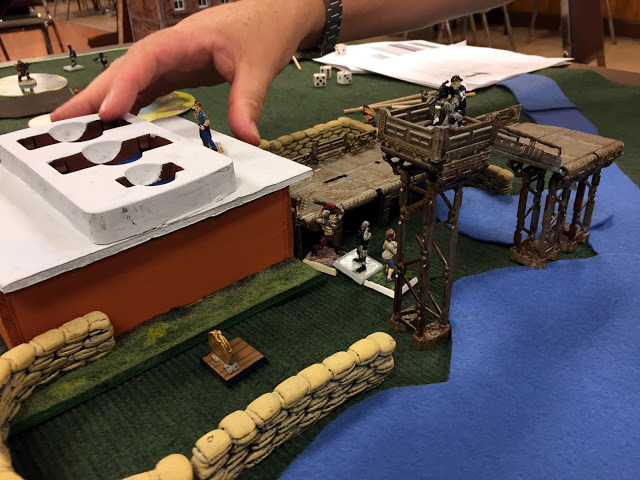 In this post, we take a look at the boats from Frostgrave Ghost Archipelago and the Sloop from Blood and Plunder and contemplate using them in both games. This Sloop by Firelock Games we looked at in an earlier post. It is absolutely gorgeous!!! You may recognize this ship as I wrote a few posts about it on this website. It is a great looking model that is simply stunning. A true centerpiece. 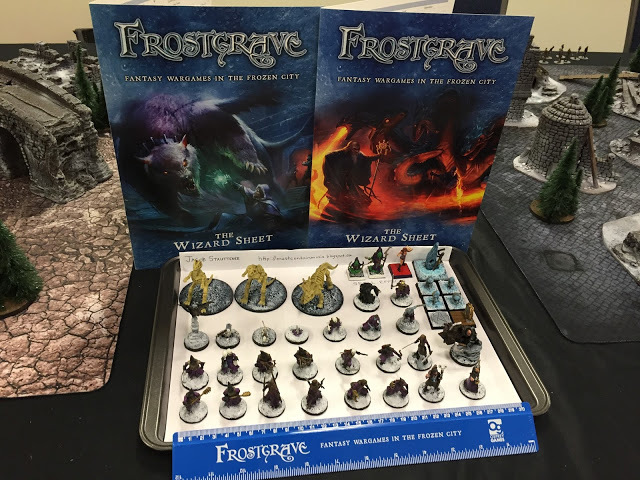 In Frostgrave: Ghost Archipelago, players base their operations from ships, but those ships are not represented in actual miniatures game play. As such, this beautiful ship from Blood and Plunder would not be used as a “player” model but could make for an interesting terrain piece. Boats, however, are available for play in Frostgrave. 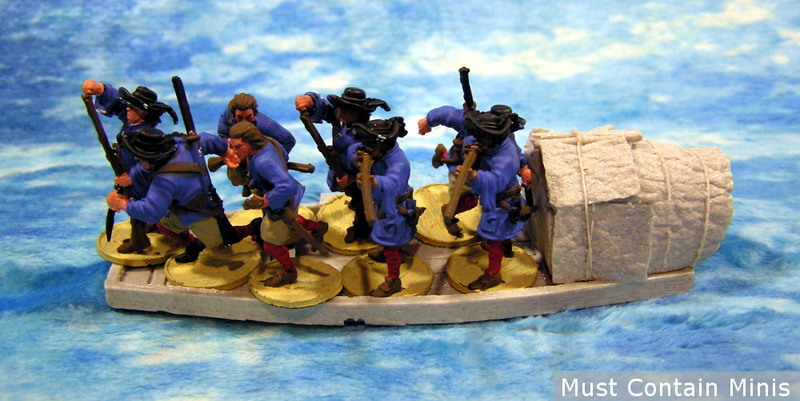 Firelock Games make some really nice boats for Blood & Plunder, and I bet that those boats would look great in Frostgrave: Ghost Archipelago. Unfortunately, mine are on order from the latest Kickstarter. That means their delivery is still a while away. So, when I had my Blood and Plunder ship on the table, I took a look at how the Firelock Games miniatures look on the boats from Frostgrave: Ghost Archipelago. Here we have another picture of the two Frostgrave: Ghost Archipelago boats with a Blood & Plunder Ship. Admittedly, any pirate that has to resort to using a raft might want to consider a career change. The Sampan Barge is also in the wrong part of the world for the period – yet, these boats look decent on the table as proxy models. The Frostgrave: Ghost Archipelago Sampan Barge actually holds 8 Blood & Plunder miniatures very nicely. 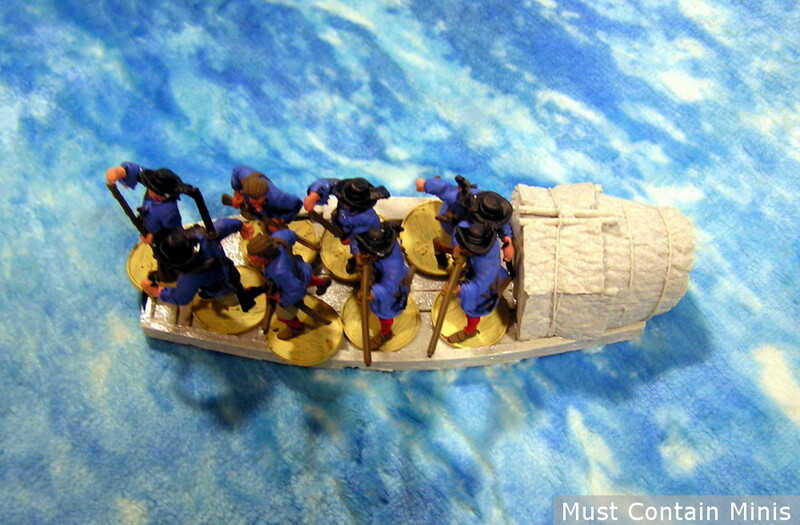 The Sampan Barge holds 8 Blood and Plunder minis very comfortably. 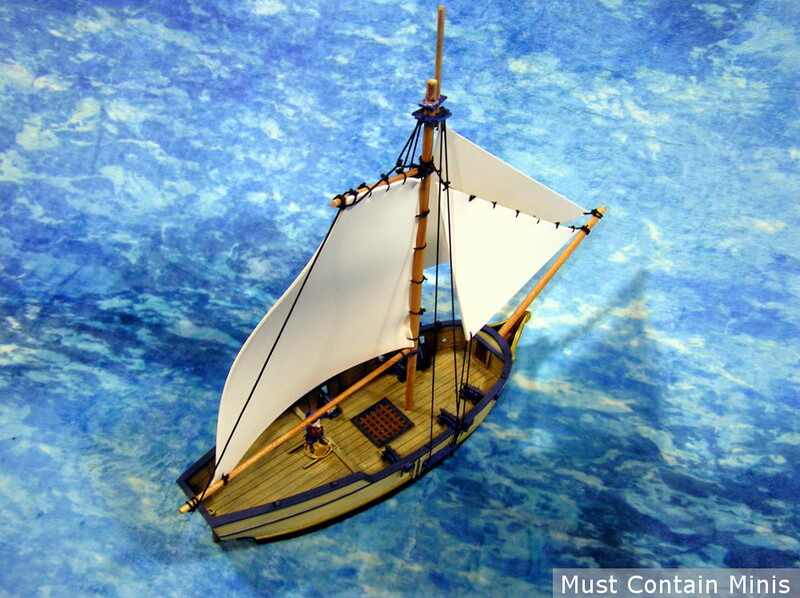 The Frostgrave: Ghost Archipelago raft holds 4 miniatures comfortably, but if you are willing to stack up your models (or modify the boat), I bet you could fit 8 miniatures on it as well. 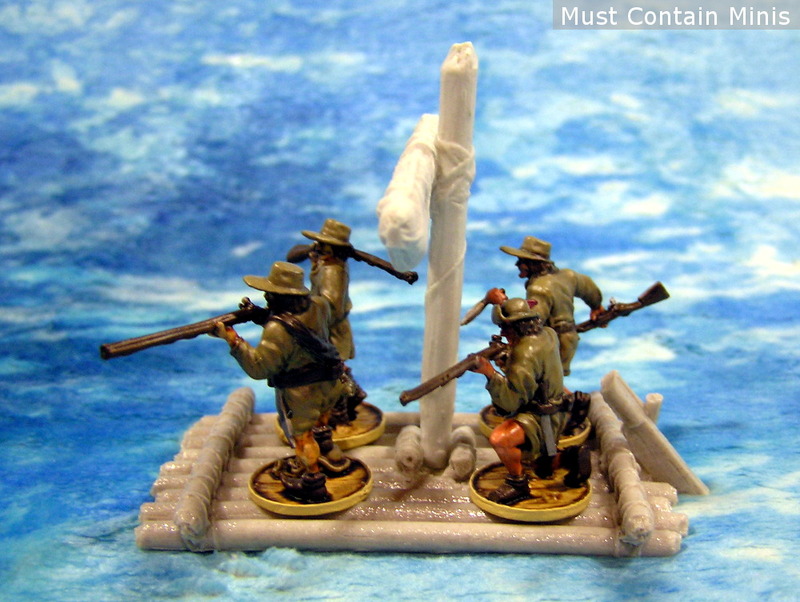 The Ghost Archipelago Raft with 4 Blood & Plunder Miniatures aboard. Aboard the Raft are four Boucaniers. 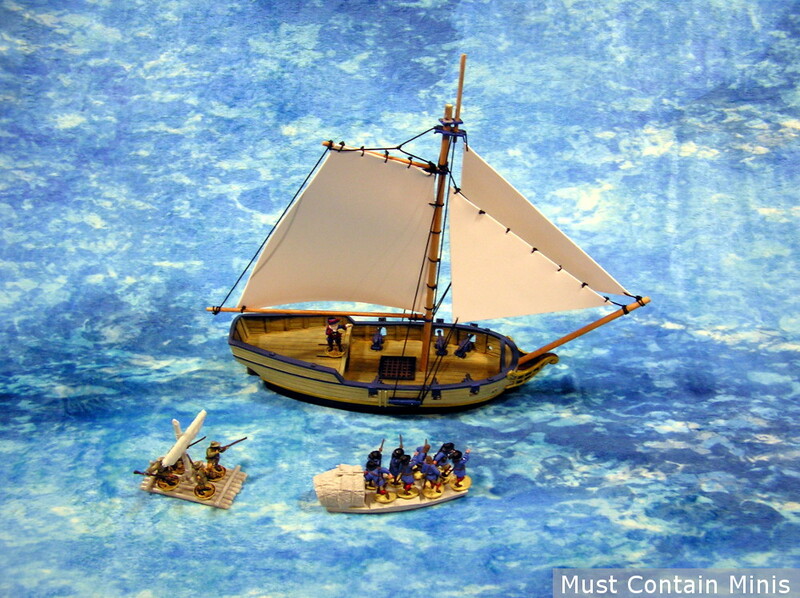 There are no official rules to include rafts or sampans in Blood & Plunder, but I feel that they would make good proxy models for boats or canoas. 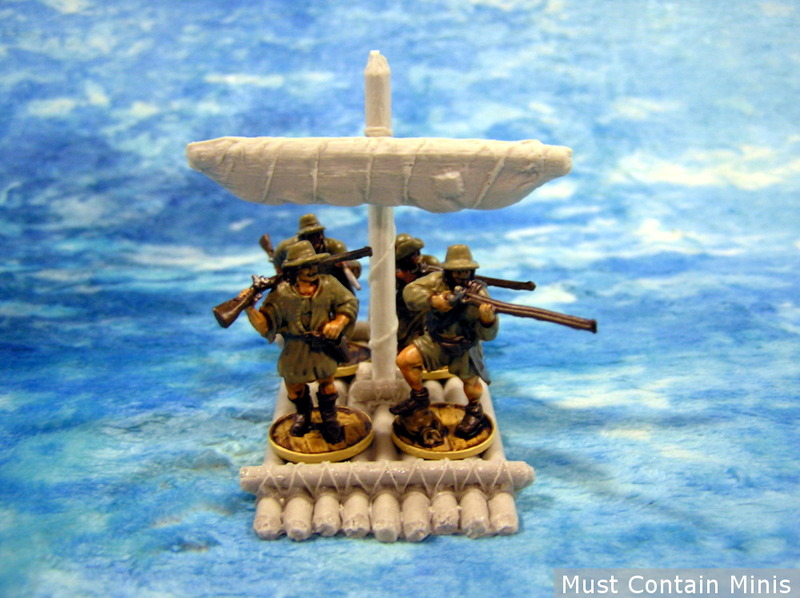 The Frostgrave Sampan hold one to two fewer models than the canoa or boat in Blood in Plunder. 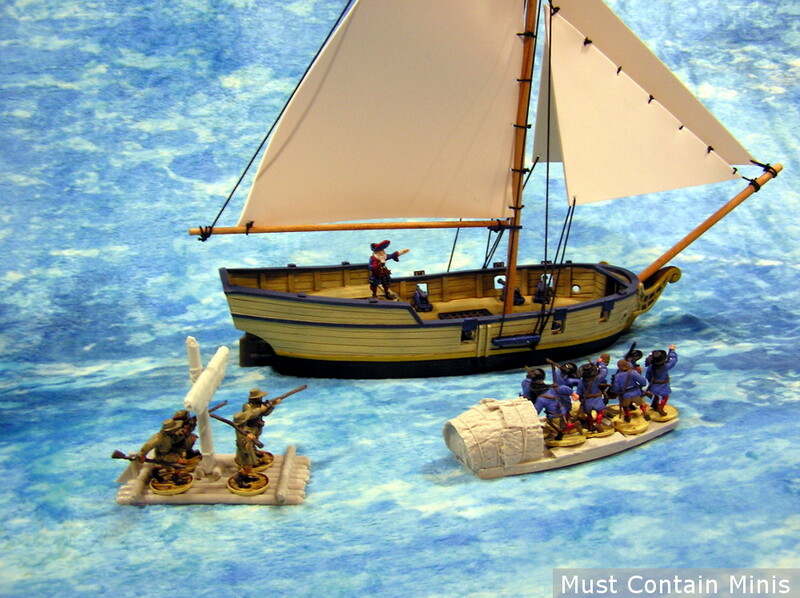 Depending on how you do your Raft, it holds two to six fewer miniatures than a Blood and Plunder Boat. That said, if you have a smaller force, these could be fun to take into the game. Ships currently do not have a place on the tabletop for Frostgrave: Ghost Archipelago. 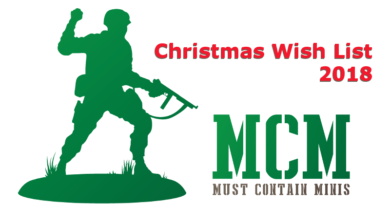 They are an abstract concept for a character’s base of operations. That said, the sloop (or any other Blood & Plunder ship) would make an excellent piece of terrain in Ghost Archipelago. Perhaps you could even work out your own house-rules for the ships. 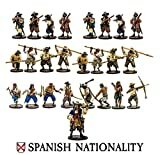 For those that want to take Blood & Plunder miniatures into Frostgrave, there are rules for Black Powder Weaponry in Spellcaster #1 and it is the Spanish starter set would allow you to build a WYSIWYG (What You See Is What You Get) crew. 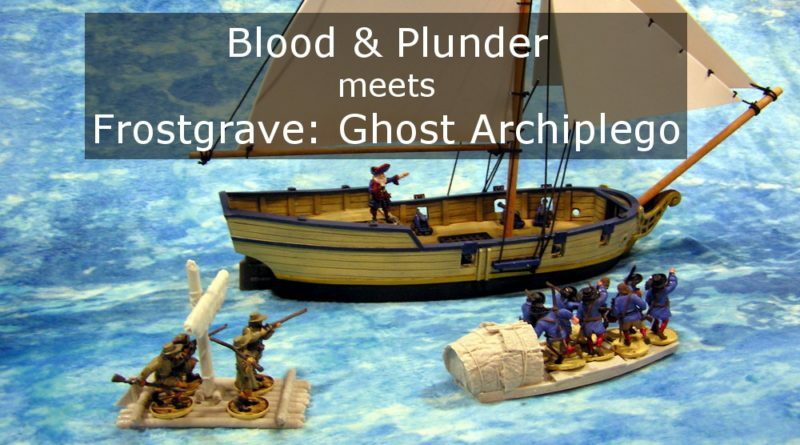 Hopefully you enjoyed this quick post about crossing between Blood and Plunder and Frostgrave: Ghost Archipelago using ships and boats. 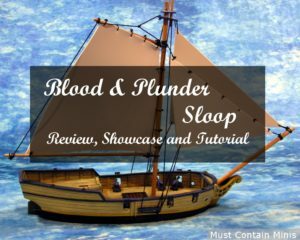 Review, Showcase and Rigging Tutorial of a Blood and Plunder Sloop. Boats in Frostgrave: Ghost Archipelago. 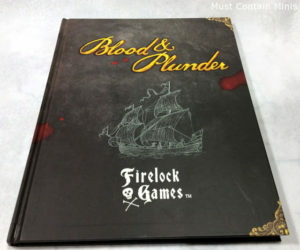 Rule Book Review of Blood and Plunder.